Hey everyone, it’s Spilliam from The Internet, and Dave asked me to make another comic for you guys. It’s pretty timely too, because Tom Savage is now the quarterback for the Houston Texans, and no one outside of five people in Western PA who watched him in college know who he is. Here’s a tasty primer: Tom Savage was originally at Rutgers (on purpose), and had a decent enough freshman year. When he was benched in the middle of his sophomore year, he transferred to Arizona. Because the NCAA are an organization primarily built around institutional slavery, he was forced to sit out a year. When the head coach changed, he asked to transfer again, and this time chose the University of Pittsburgh (and waited another year). At this point he proceeded to light up the ACC Coastal (probably the most forgettable division in Power 5 college football) and did well enough to get drafted by the Texans. There, now you know more about Tom Savage than most pro football writers. Anyway, thanks again to Dave for letting me defecate all over his website. If you wish to yell at me, you can do so over on the twitter dot com at @IAmSpilly. -Thank you again Spilly, always a welcome presence on TDP. Tom Savage is my new favorite player simply because he already owns the best name in all Quarterbacks and might be in contention for best QB name of all time. Also he paves the way for easy usage of Macho Man Randy Savage jokes and also Nicholas Cage jokes because my god, look at him, he’s literally stealing the Declaration of Independence right now. Hey Dave, what’s that about Northwestern getting destroyed? 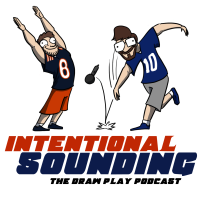 Dave, you need to get more of these guest comics and post them on offdays. Finally my college football knowledge comes in handy. I was able to chuckle quite heavily at those fire hazards. So how did that Northwestern thing work out for you? Very well timed comic, indeed. 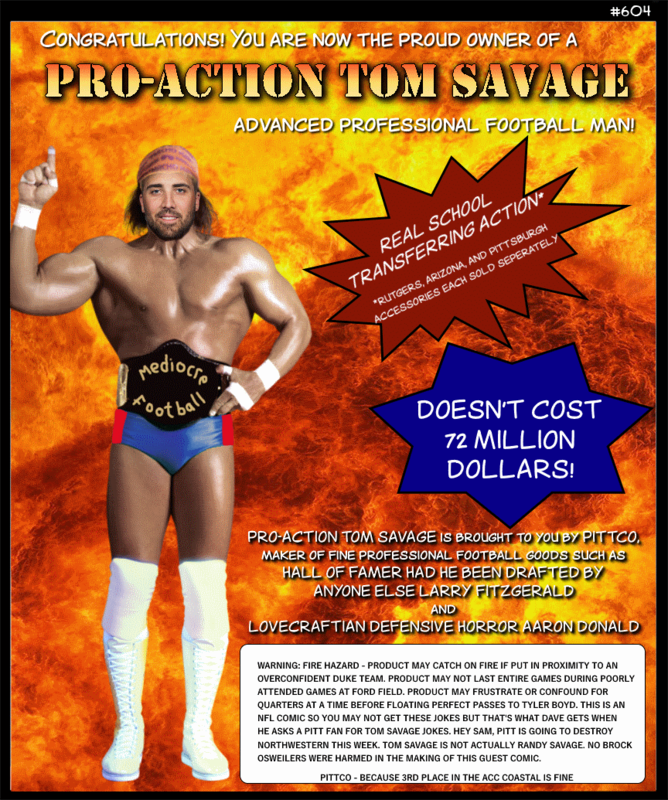 Somehow, putting Tom Savage’s face in front of Randy Savage’s hair made him look like Nicolas Cage. As an RU alum, Tom savage didn’t exactly light the world on fire… but compared to the endless string of aspires-to-be-mediocre QBs that came after him, he was freakin’ Tom Brady. Which is funny because Brady didn’t exactly light the world on fire at Michigan either. Savage to New England confirmed?